In today’s self publishing world, it’s a good idea to have your book available in as many formats as you can. Now we’re going to look at the Kindle. Formatting for the Kindle is really plain formatting (just like typing on a typewriter, if you’re old enough to remember those days ). In this post I explain formatting your Word file for the Kindle. There are tools available to convert your Word file to the .mobi Kindle format. Probably the best known is Calibre (available free, here: http://calibre-ebook.com/). If you go this route, you will need some experience with HTML – nothing highly advanced, but you should know the basics. You also have the option of formatting your ebook in HTML 5 and CSS (but you will need some experience in using these). You can upload your Word file to Amazon and have it available as a Kindle ebook. You need to create a separate cover image (Minimum of 625 pixels at shortest side and 1000 pixels on longest side. Best quality is 2500 pixels on the longest side), and the format should be TIFF or JPEG. Are you ready to turn your book into your Kindle ebook version? You can save your Word file as .doc or .docx (Amazon now accepts both formats). Remember, this is like old fashioned typewriting, so you need to strip away all special styles from your manuscript. If you don’t already have your manuscript written, and you’re starting to write your book, you won’t need to worry about removing styles, just keep everything plain. If you have already written and designed your book for the hard copy version, you will need to remove all the fancy formatting for your Kindle ebook. It’s not that bad :o). If you already have your book written (and formatted) in Word, pay special attention to the following. You can select your whole manuscript and change everything to Word’s Normal Then you will need to go through your manuscript again, and add the Heading styles, italics, bold, etc. We’re going to use this method here (using the Format Painter it can actually be done quickly and easily). Save your Word file in the .doc or .docx format (Kindle now accepts both formats). Everything in your manuscript should now be selected. Almost everything in your manuscript will now have the Normal style. I say almost everything because if you have text boxes for example, you will need to go through your manuscript and change these one at a time (see the next section). Keep in mind these are not recognized in Kindle, so you’ll have to change them anyway. You should also remove additional blank lines. Text boxes. To change text boxes, you will need to copy the text in the text box and then delete the box. Paste the text where you want it in your book and apply a simple style to the text, e.g. use italic or bold text for these (and you can also center the text if you want to). Bullets. If you have bullet lists, you can use asterisks instead of the auto bullets. Auto Numbering. You need to change auto numbering to manual numbering. Special fonts. Check your whole document for these, and change them to plain fonts, e.g. Verdana, Arial, etc. Headers and footers. Delete these. Special Word styles. Check your whole document for these, and change them to plain styles, e.g. Normal, Heading 1 to 3. Tables. 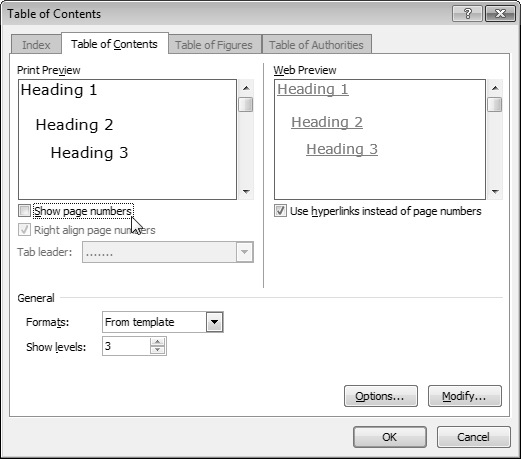 If you have tables in your ebook, ensure that you use the Insert > Table option in Word. Graphic images. Color images can be viewed in color by readers using Amazon’s free Kindle apps for PC, MAC, iPad, iPhone, and Android. Images on the Kindle devices are displayed in 16 shades of gray for great contrast and clarity. Images should be in the JPEG format. Click the Insert tab, then click the Picture button. IMPORTANT! Don’t copy and paste an image from another program. Choose the image from the location on your hard drive, and click the Insert button. You do not need to include your cover image in your manuscript file. Your cover image will be added automatically when you publish your ebook, and is uploaded separately. Page Breaks. Insert a page break at the end of each chapter to prevent the text from running together. To insert a page break, place your pointer where you want the break. Click the Insert tab, then click Page Break. The page break should be inserted on the page. Turn on the Show/Hide option to see where the page break is. Title Page. Your Title page will be centered with the title of your book, and the author name below, and insert a page break below author name. See example below. After the front matter pages, you will have your book contents (chapters). 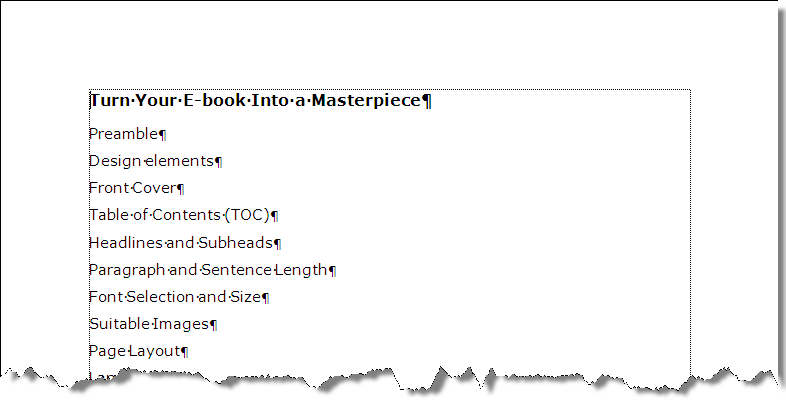 Use the Heading styles for the headings in your book. These will then display in your Table of Contents (ToC) and enable your reader to navigate your ebook. Remember to insert a page break after the last sentence of each chapter. Table of Contents. Using Word’s auto Table of Contents (ToC) will be functional in your Kindle ebook. Place your pointer at the beginning of your document, after the Title page (if you don’t have a blank page after the Title page, add one for the ToC). Move to the Table of Contents button and click the down arrow. Move your pointer down and click the Insert Table of Contents option. On the Table of Contents window, tick the Show page numbers check box. As the Kindle does not display page numbers, this is not required. Make sure the Use hyperlinks instead of page numbers check box is ticked. Your Table of Contents will display on your page (see example below). Kindle has the option to “Go To” the cover image, beginning and the Table of Contents of your ebook, from anywhere in the content. These are defined by what is known as Guide Items. If you upload a cover image, the first Guide Item will be set automatically. For the Beginning. 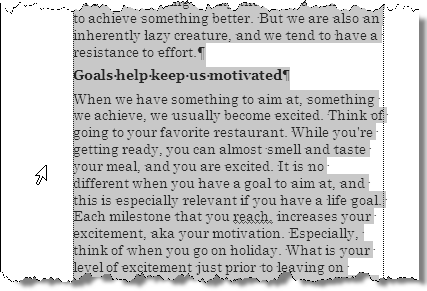 Place the cursor where you want the book to start, e.g. Title page. Click the Insert tab, then click the Bookmark button. 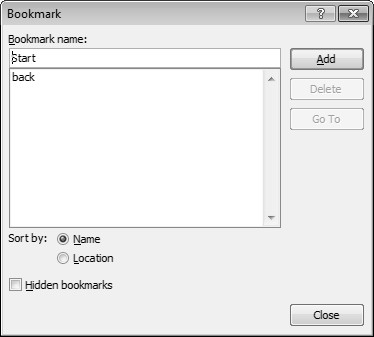 On the Bookmark window, type Start in the Bookmark name field (see below). For the Table of Contents. Place the cursor at the beginning of the first entry in the Table of Contents. On the Bookmark window, type TOC in the Bookmark name field (see below). Pingback: AME Blog Carnival: Tips and Tricks for Writers and Authors – February 23, 2015 - Author Marketing Experts, Inc.
1. Spacing between paragraphs to be Uniform. What should be the spacing recommended. 3. What is the best theme that could be applied? Advice on the issues welcomed. This is unclear to me. What theme are you referring to? Resize your images in Word by dragging the corner nodes that are available when you click on the image. Thanks for the advice. 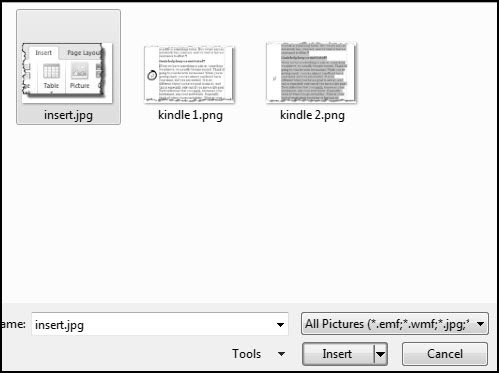 If I load the document as doc.file or docx file with inserted images KDP may not accept it. They specified to save it as filtered HTML file . It generates a folder containing images. Both the file and the folder to be zipped and loaded. They are specific that the images should be jpeg and should be inserted not copied. I have loaded my 5th eBook ” Generations”. I am waiting for confirmation from KDP that every thing is OK . I am on a learning curve. 2) Positioning the images KDP advised me to use Ctrl L, Ctrl R, CtrlE for aligning Left, Right Center. It worked. I have tried to follow this formatting but have the following questions. Do I have to make the page 6 x 9 and set the .25″ margins? It makes the entire document look funny and leaves very little margin space on the page. Second, my table of contents options do not give me the option to use hyperlinks instead of page numbers. I am working on a Mac, so I have Office for Mac. Do you know how I would find that option you were talking about? Also, I currently have page numbering on, should I completely delete that? My final question is a picture for my cover. How do I put a picture on it that will show up on kindle? Am I just inserting an image? Thanks for the help. Thank you for your questions. This version of the book is only for the PC, but I will be adding the steps for the Mac in the 2nd edition of the published book. When formatting your Word document for Kindle, there is no need to set those margins. Those settings are for your hard copy book. I’m going to check this on a Mac, and will get back to you after the week-end. The Kindle doesn’t recognize page numbers, and as such I always remove from my files. Your cover needs to be a separate image file (JPG or TIFF), and should be should be 2500 pixels on the longest side. The cover image is then uploaded separately at KDP. I wish you the best with your Kindle project. I really appreciate the help you offer. I was wondering if you found the answer to this as I have not discovered a solution myself. It seems the feature to remove page numbers is not available on earlier versions of Word for Mac. I checked this on my son’d Mac (he has version 15). The option is available on that version. Click the Table of Contents drop-down menu. Choose the Custom Table of Contents option at the bottom of the window. Uncheck the Show page numbers checkbox (see above). I actually created a short PDF, with screenshots. I’m not sure if that’s helpful. I’m glad to hear that. Thanks. Nice article. One question. When i am reading a book on my Kindle I can highlight a character’s name and get a sentence or two description (or a sentence or two when they first appeared in the book) My father is writing a mystery and has dozens of characters. If this is covered in your book I will buy it. Hello Steven, thanks for your comment. I’m unclear as to what you want to know. Can you explain further please? I think what you’re asking about is the X-ray feature in Kindle Paperwhite devices. Unfortunately, that option is not discussed in my book. The process to include that goes beyond book formatting, and includes a good knowledge of programming (using Perl), etc. Nice post! I will reference this article in one of my posts on my blog: microsofttut.com, a blog that teaches microsoft office packages, gives latest android soccer games links, photoshop tutorials, how to design awesome book covers for free and amazon marketing tips. I strongly believe it will boost my earnings from my books! When I tried following the paragraph formatting guidelines, it didn’t show up properly for me in kindle (using 8pt spacing after a paragraph). I was forced to put in an additional carriage return between paragraphs to show the paragraph demarcation in kindle. I also noticed that kindle does a pretty bad job of keeping subheadings together with images. I found myself putting in excessive page breaks, but even then they didn’t always display properly depending on the device. Any way around that? It’s terrible only getting back to you now and I apologize. 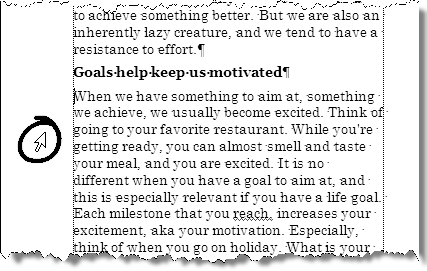 The paragraph spacing is not ideal for the Kindle – unfortunately we’re tied to the device’s functions. With regard to the images. If you mean the caption that goes with the image, a work-around for that is to include the caption in the actual graphic (e.g. in Photoshop). Because e-readers don’t use fixed page layout, like the printed page, there’s no control over keeping text with images. Applying styles and formatting are the crucial steps and if it goes wrong then it will affects the ebook sales. Your guide are excellent one which covers everything. Do you have any guide for advanced formatting like audio and video? Thanks, Dav. Unfortunately I don’t have experience with audio and video.